The first thing I noticed when I arrived at the Madison Square Park Shake Shack was the line — SO LONG. Why. How. In-N-Out can be packed, but the line rarely ever gets too long. The service is quick no matter what time of day it is. 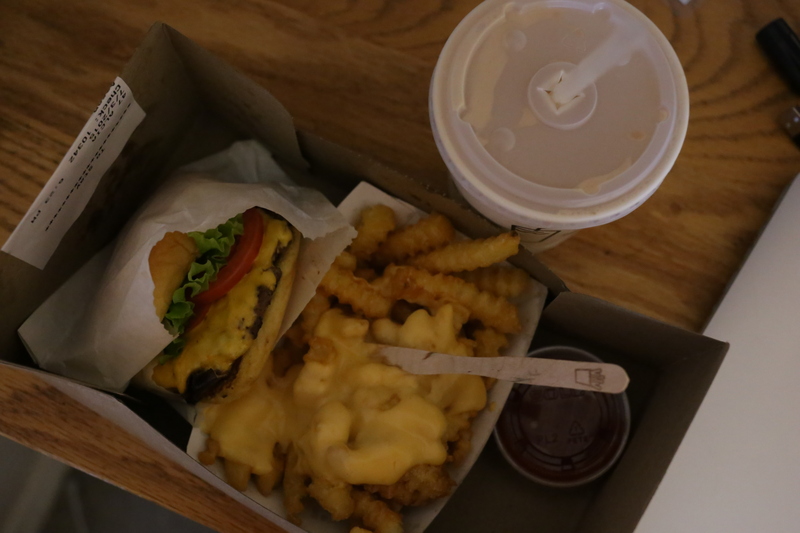 At 6 p.m. on a Friday I spent at least half an hour trying to pick up food from Shake Shack. Shake Shack’s menu is definitely more diverse than In-N-Out’s. I expected that. Their shake flavor selection is pretty bomb. I had the black and white, which I thought was a cool way to rep the East Coast. Additionally, while I was waiting in line there was this really funny staff guy passing out menus and challenging customers to rock, paper, scissors — good laughs to pass the time. The sauce is where it gets interesting. Both have their own special blend. In-N-Out has the thousand island-type stuff, while Shake Shack has a sort of spicy mayo. Both are equally good. Truly. Try ’em before you knock ’em. Burgers and fries are what we’re here for. I give a one-up to In-N-Out for having onions included. Yep, it’s that simple. Plus, In-N-Out uses more of their sauce, I think. Or maybe Shake Shack skimped. Lastly, the price. 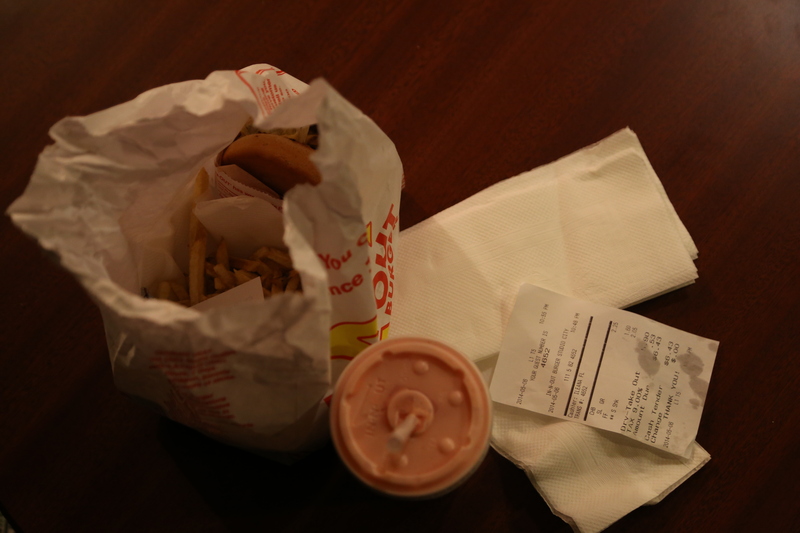 You cannot beat In-N-Out’s price. The burger, fries, shake combo is definitely cheaper than that same combo at Shake Shack. Such a cute little burger. I could also score the branding. While In-N-Out has a classic, unmistakable logo, the Shake Shack little icon things are super cute. It’s very 21st Century. The fact that Shake Shack isn’t afraid of evolving with chicken sandwiches and limited-time items could earn them two points to tie out this score. But I won’t do that because LA TILL I DIE.